The paper consists of 100 multiple choice questions and is divided into three sections. Quantitative Aptitude & Numerical Data Analysis, Reasoning & Intelligence and Verbal Ability. Correct answer: (+) 3 Marks. Incorrect answer: (-)1 Mark. 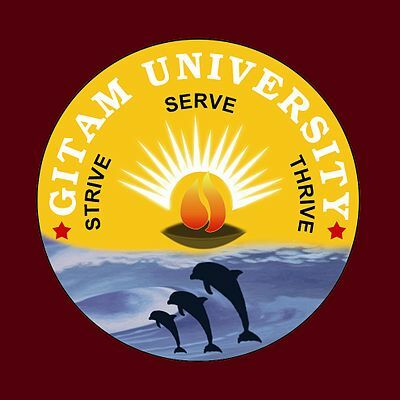 GITAM Admission Test (GAT) 2019 is an online based test. Given below is some of the information with respect to the GITAM GAT Exam Pattern 2019. Candidates should have a clear idea about the pattern of the exam and the syllabus. Candidates are advised to go through the exam pattern of GITAM GAT 2019 to know about the types of questions, duration of exam, number of questions, total marks and the marking scheme and all detailed information regarding the examination. Exam pattern is different for different courses based on the syllabus. Applicants can check GITAM GAT 2019 Syllabus to see the background of the questions asked in the GITAM GAT 2019 Exam. The GITAM GAT 2019 will be conducted in both online and offline modes. The question booklet contains 100 objective type questions. Duration of GITAM GAT 2019 is 2 hours. Note: There is no negative marking or no marks will be awarded to the unattempted or not answered questions. The GAT 2019 Exam pattern for Under Graduate courses is given below. The Gitam GAT Exam Pattern 2019 for Undergraduate courses will be different than that of the Post Graduate courses. The Undergraduate course exam pattern will be based on 3 major subjects i.e, Mathematics, Physics, and Chemistry. The GAT 2019 exam pattern for M.Tech and M.Arch is shared below. The examination will be based on Quantitative Analysis/ Aptitude, Intelligence and Reasoning, and Verbal ability. Note: All the questions are Multiple Choice Questions (Objective Types). The exam is conducted for 400 marks. Four marks are awarded for every correct answer. One mark is deducted for every wrong answer. No marks are provided or deducted for unanswered questions. Note: GAT 2019 is an English medium examination. Hence, all the questions will be asked in English only.